On the never-ending quest to find new customers, a number of cruise lines are increasingly sponsoring special events that reflect their onboard ambience. Known for food and wine? 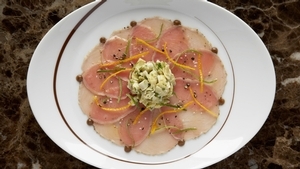 Celebrity Cruises has attracted attention with a gourmet food truck touring Southern California, dinners at the James Beard House in New York, and an Award of Excellence from Wine Spectator magazine. Upcoming events include its own wine and food festival in Irvine, Calif., on May 31 and the takeover of the concession stand for two evenings at the Tribeca Film Festival next week. Known for fun? 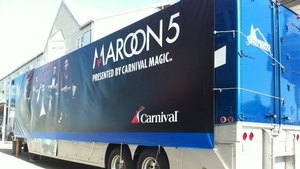 Carnival Cruises has made a splash with a 50-foot-tall inflatable turkey (wearing a Hawaiian shirt, no less) and a concert by one of the hottest bands around, Maroon 5, to spotlight the launch of the Carnival Magic in Galveston. That means attendees at the high-profile Tribeca Film Festival will snack on Celebrity’s own premium spin on movie theater snacks — think ale cheddar nachos, chipotle jack popcorn and Kobe beef hot dogs with togarashi (Japanese red chili peppers) and roasted nori (seaweed). That’s why Celebrity events tend to be upscale functions with a culinary focus and Carnival emphasizes fun. The Maroon 5 concert in Galveston attracted 4,000 spectators, who couldn’t miss the huge gleaming white ship docked behind the stage on the pier. 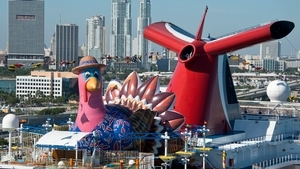 The giant inflatable turkey sat on the top deck of the Carnival Breeze at Thanksgiving 2012 as the ship arrived in Miami. The turkey sat 14 stories above the waterline. 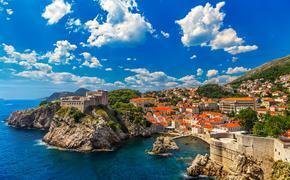 Beyond the noshing and laughing, these events often include a charitable aspect. Carnival’s giant turkey stunt was accompanied by a donation to a South Florida food bank that provided 137,500 meals. The Celebrity Cruises Great Wine Festival will benefit LegalAid of Orange County, a non-profit organization that provides free and low-cost legal services. “We are a brand that believes in doing well while doing good,” Berra said, “so we often tie our events to local causes and also try to find ways to make sure there is a story for media to tell."